Mr Ablakwa polled 9,855 votes representing 84.45 per cent whiles Mr Charles Hodogbe, a two-term former MP, polled 849 votes representing 7.28 per cent. Mr Samuel Okudzeto Ablakwa, the incumbent Member of Parliament (MP) for the North Tongu Constituency has secured a second nod to contest the National Democratic Congress’s (NDC) parliamentary seat in the coming elections. Mr Bennert Appleh, a businessman, also polled 778 votes representing 6.67 and 187 ballots were rejected. Mr Ablakwa, in his acceptance speech, thanked his constituents for supporting him and pledged to initiate more development projects in the coming years. Mr Ablakwa, who is also a Deputy Minister of Education in-Charge of Tertiary Education, said all the losing candidates would be brought on board to help secure the 97 per cent vote for the President. The Constituency currently has a registered voter population of 17,070 in the NDC internal register who cast their ballot at 109 polling centres. 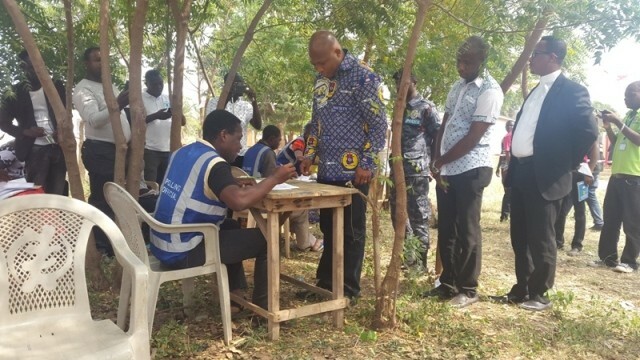 The election in North Tongu was rescheduled from November 21, after an aspirant, Christopher Kofi Eleblu, who was on October 14, disqualified by the NDC National Petition Review Committee on grounds that he had been prosecuted for defrauding the State, filed an injunction to halt the election. There are still two outstanding primaries in the Volta Region namely Ketu South and Nkwanta South; and these are on hold due to disagreements amongst disqualified aspirants.